BC Superweek is one of the most prestigious pro-cycling events in North America and we at 14 Oranges are the proud website sponsors of the headlining Tour de Delta races which run from July 9th to July 11th 2016. BC Superweek then moves onto Gastown (July 13), Burnaby (July 14), Port Coquitlam (July 15) and wraps up in White Rock on July 16th and 17th. The Tour de Delta itself features three different events. The first is the MK Delta Criterium event on Friday night in North Delta around a tight 1.2 km route. 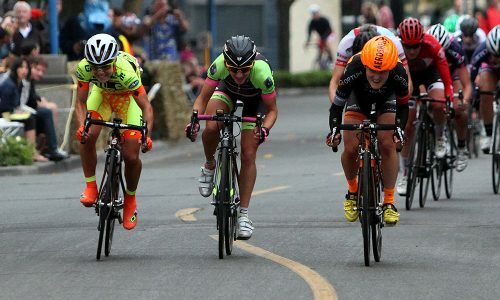 The second is the Brenco Criterium on Saturday night in the heart of Ladner. The last is the White Spot | Delta Road Race, an internationally sanctioned Union Cycliste Internationale (UCI) event running through the streets of Tsawwassen. Professional racers from around the world make their way to BC for these races. Because the the road race in Tsawwassen is a UCI sanctioned event, racers will be pushing to earn points towards qualifying for international races, including the Tour de France. You and I can expect to see some world-class racing! As the Community Engagement Director for the Tour de Delta, I have been working hard this year to help bring awareness and engagement to this wonderful event. Along with my fellow Tour de Delta board members, we came up with and executed a number of new ideas to this end including a photobooth and school sports day packages. Both the North Delta and Tsawwassen events have community events attached to them including food, entertainment, and lots of family friendly activities. All three events also feature kids races and the North Delta and Tsawwassen events will feature a Rotary Bike Obstacle park including teeter-totters, ramps, and tabletops perfect for kids between the ages of 5 and 13. When I joined the organizing board this year I was made aware that there were some issues with the website. It had recently been hacked, and was in need of a facelift. It made sense to offer our website development services to resolve both these issues and now their new website is ready to roll! The website features a parallax wordpress theme that has been customized to suit the Tour’s needs. It incorporates responsive (aka mobile-friendly) design making it look great on both mobile devices and desktops. So check out our new website for the Tour de Delta and come out and enjoy the races with me! This community event really allows you to get up close with some of the best racers in the world, and I hope to see you there!